A legendary coach named Vince Lombardi rises from humble beginnings in Brooklyn and becomes one of the greatest professional football coaches ever. His coaching philosophies and devotion to the principles of family, religion, and sports help him lead the Green Bay Packers to a World Championship and create a legion of believers. At one point or another, we've been influenced by a specific coach that not only taught us the rules of the game, but also how to live a better life using the lessons gained from sports. 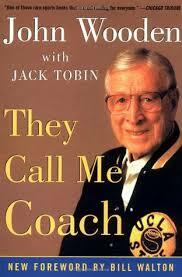 This list contains books that are written by, or about influential coaches who had vision beyond the game. 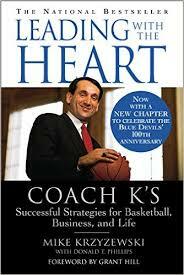 Mike Krzyzewski, basketball coach at Duke University, shares the leadership lessons he has learned throughout his life from his childhood in a Polish Chicago neighborhood, to his days at the U.S. Military Academy, and his tenure at Duke. Contains the autobiography of UCLA's legendary basketball coach, John Wooden, as he reflects on his record-breaking career, his life behind the scenes, and some of the top players whose careers were made under Wooden's direction. 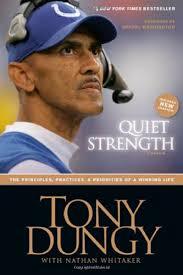 NFL football coach Tony Dungy reflects on his personal and professional life; discussing his childhood, family, religious beliefs, coaching practices, Super Bowl victory, and more.